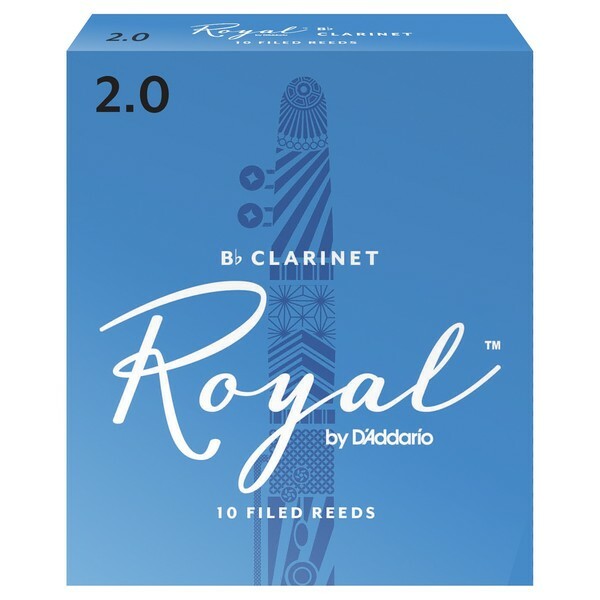 Formerly Rico Royal, the Royal by D'Addario Bb Clarinet Reeds combine features of traditional Rico cut with a French file. Designed for advancing players, Royal by D'Addario offers an even response across the registers and more clarity in the sound. These reeds feature a stronger spine allowing for more resonance and harmonics in the sound. The Royal series of reeds are designed specifically to suit the student who has established their skills and are wanting to advance further. This series’ main focus is to ensure clarity in your clarinet’s tone, as well as having an easy response. The cane used is grown specifically using Rico's advanced techniques for the most consistency when changing between reeds. The Royal reeds’ thin profiles make them easier to play, making them ideal for students who need comfort. Each reed is individually wrapped to retain its freshness, whether it be on tour or in the home.